Really pulls you into the world and keeps you there. good character progression in and out of the world. 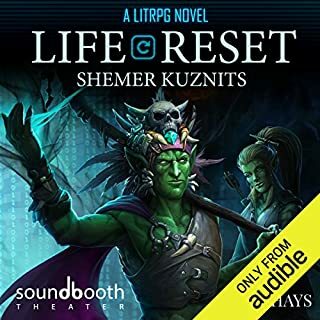 This is one of the better litrpg series i have listened to. Unfortunately the voice acting could use some work. Many illogical and farfetched plot holes. The biggest redeeming quality of this book is the dungeon. OMG is the correct responce to the events following in this book. Can not stan wating for the next book. I just can't wait for the next book. I've been listening almost constantly through this series so far. My God he tells an amazing story and it's his first books! This was well worth my time and the story kept me intrigued almost 100% of the time. Now give me more! oh wow, I loved this book even more than the first one. Hopefully I won't need to wait to long for the next book. 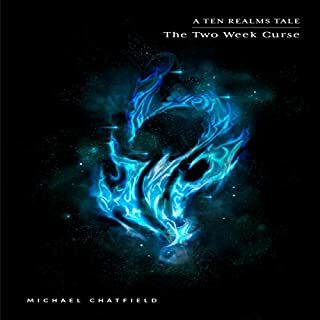 Josh here...and man tt feels like it has been so long since I listened to the first entry in this series. 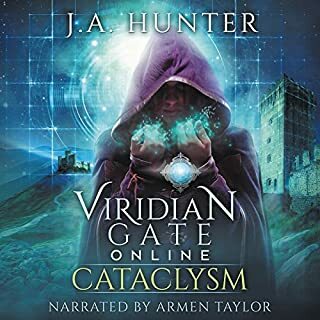 Of course, I had to come back and listen to the next entry in this fantastic LitRPG collection. Travis really has a great series going here and I was drawn right in to where we left off in the first book. While it felt like the story may have taken a bit to get going for me, it picked up and kept me going after the first few chapters. The ending definitely left me hanging and now, to quote the narrator in Starship Troopers, “I would like to know more”. Many things stood out to me in this series in terms of great character development. Riley’s experiences with Alex frustrated me as I’ve seen similar situations occur far too often. Watching those with power use and abuse those without always frustrates me, so I was easily upset during the interactions between these two. Watching the politics between the game creators and the CPSC, the game creators and their own staff, and the game creators and Jason/Alex was interesting as well. I can say that I easily side with Robert in most cases as, after all, it is just a game. While there are various moral situations brought up in the game, that is exactly how I looked at each of them, just a scenario in the game. It is when these situations start translating to real life that the real issues start to arise. It will be interesting to see how Alfred interacts with Jason, given the ending to the book. I also found myself sympathizing with Frank and the nature of his character. Most game players use these types of games to escape real life and I could feel Frank’s frustration as he went into game play and experienced problems similar to those he would in real life. Watching Jason’s skills shift after he was able to overcome his arrogance during his first death was awesome. The venom spitters and bone monsters he crafted, and Travis’s descriptions of each, left me with a very vivid mental picture of each. 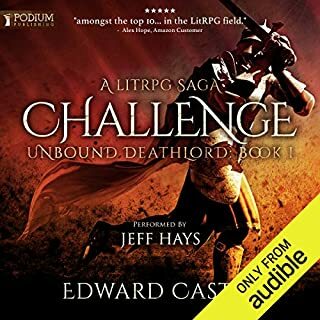 Likewise, watching the battles ensue between Jason, Frank, Riley, and Jason’s creations, to include with the game master, were some of the best PvP fight scenes in any LitRPG book I’ve listened to. This was a great book and while I don’t like cliff hangers, I am anxiously awaiting book three. David did a great job with narration and delineation of each character. 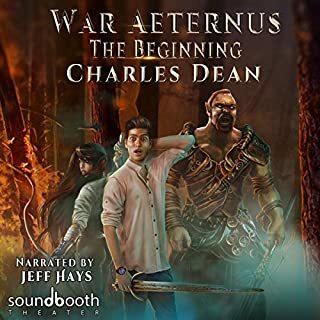 While this is the only series which I have listened to with his narration, I will definitely be on the lookout for others. 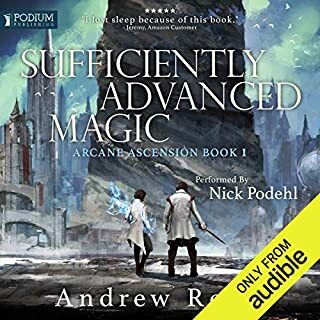 I thought this was a great continuation of book 1 BUT I absolutely felt like the end of this book was a slap in the face and a jab in the gut... 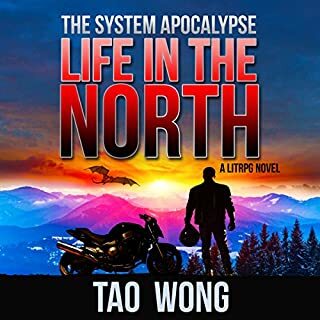 If you enjoyed the first book I think you'll enjoy this book and (so far) book 3. My issue here is that the book just ends in a horrible cliffhanger... It's not even a cliffhanger you can sit on for a bit and come back to later. You'll want to either have book 3 ready (not 2.5) or be able to immediately purchase and keep reading. My only complaint here is that the whole Alex story line is pretty hard to listen to. I feel like there are some (very brief) points when you sort of feel like you can identify with the character or his perspective but then it's just overwhelmed with pure dislike. I feel like this has completely messed with the good vs evil (where we are supposed to be following the 'evil' character) aspect of the story. At this point, you have the 'evil' character doing mostly good things and the 'good' character doing mostly evil things... Overall though I'm still enjoying the story and will continue to listen! Narration by David Stifel continues to meet or exceed all my expectations here. 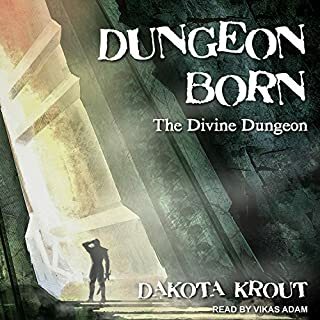 I have no complaints and would have no problem picking up any other works by this narrator! 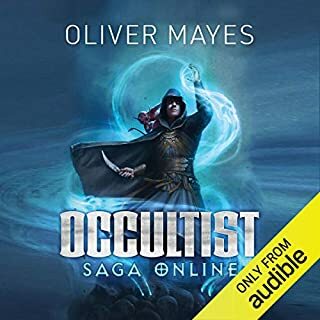 The narrator's voice is a bit monotone at points, but overall he does a good job at bringing a great litRPG to life. One of the best books I have listened to/read. It has become the book I compare other books to. with their goal just trying to get close to awaken online. 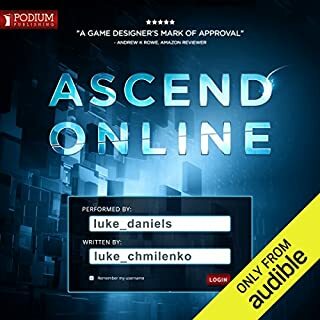 What did you love best about Awaken Online: Precipice? This is a non-stop roller coaster of excitement and tech future. Loved the wit and back and for the. 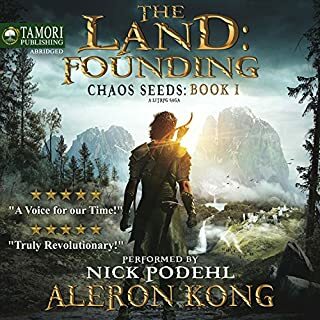 The narrator does a fantastic job and keeping the story going. Have you listened to any of David Stifel’s other performances before? How does this one compare? David is one of the best and he really sets the bar high with this one. The book has several evolution for its main characters and I believe there in no one moment but more of a collective aha moment. This is a fun listen and great follow up to the original. If you are or were a gamer and love to see what kind of future the new VR system have in store then this is a great story for you. I finished the book, and my first thought was that I want more, but also to that nagging curiosity to know what happens next. 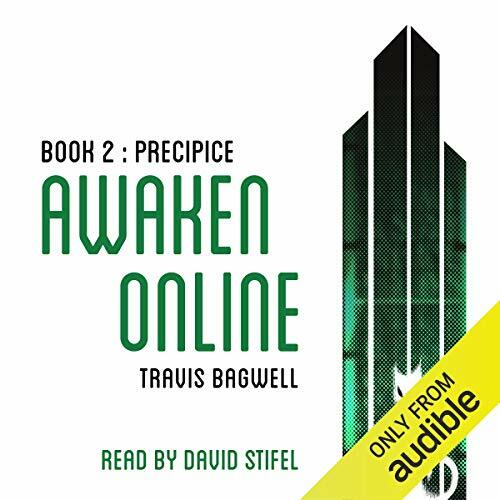 Awaken Online: Precipice meets the expectations that were set forth in the first book. 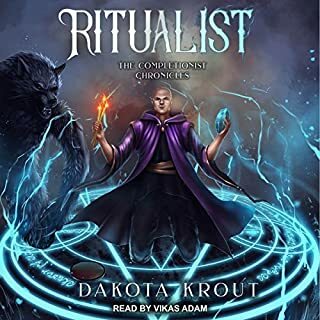 Overall, I felt satisfied with the listening experience, some of the world building aspects of the book are very well done, while I get conflicted feeling with what some of the characters on what they are doing, I feel like they are the good kind of conflicted feelings meaning that I am invested in the story. The Performance by David Stifel was basically the same experience as the first book, that is it was a good job. Conversations between characters were easy to keep track of, and I heard the story, not the voice. Production is well done, there were no issues that I caught. 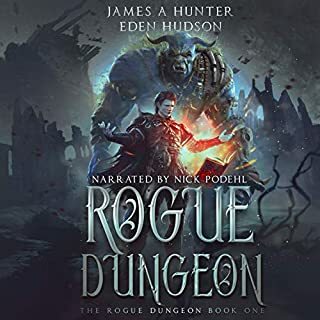 So the story was gripping and addictive, it does slowdown in places but this is 18-hour audiobook, so those are the good places to take a breather. 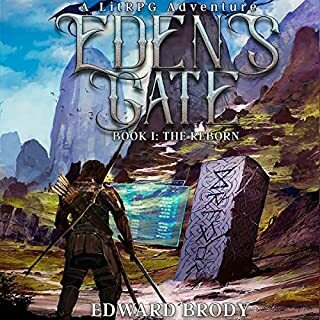 The book does end on something of a cliff-hanger, but that is mostly the author being evil and setting up the next book in the series (which is coming soon I hope 😝). I have conflicting feeling on most of the characters in this story, but all of them feel like they have depth and a background behind them. From the descriptions of the world of Awaken Online it feels like we only have a small glimpse of the entire world, and I worry that it only seems like two groups are effecting the game world it would be nice if this wasn’t the case – (even if only through the background in the news casts). 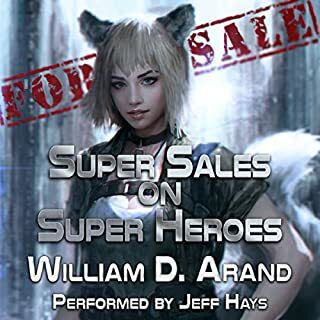 The story has a few threads going on at the same time: Jason and Company, the AI Alfred, some real-world perspectives, and an Alex subplot. All of these perspectives are interesting, but I sometimes feel like the story is being told with too many povs by the author, I appreciate the perspectives, but it is jarring sometimes to get what amounts to a 1 page pov from a character that will never be mentioned again. At the end of the day, the story was well paced, with lots of villainy! I can't get enough. this series is grate for game lovers who don't have the time to play. This one is so much improved from the first book I almost feel I need to go back and take a star away to show the change. 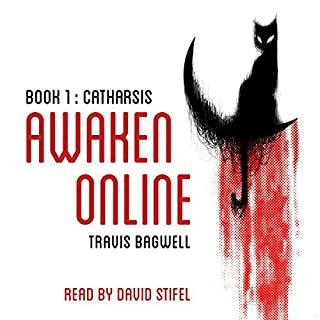 Bagwell continues to deliver on the interesting twists from the first book and massively improves character development. A great read from start to finish. Excellant balance between the ingame life and real life ... crazy plot twist at the end intertwining the two! I'm really enjoying this series. A well written story that has had me hooked . Being a gamer as well it has certainly made me enjoy it more I feel. Great idea, great characters and excellent narration. Narrator does a wonderful job and the book keeps amazing me with how well thought out it is, onto the next one now! 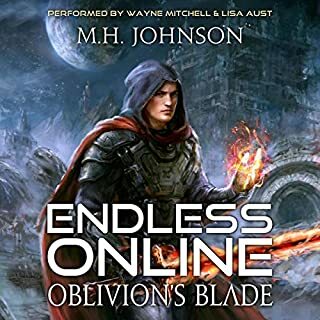 This book was even better than the first book in the series and actually has me wishing the AO game was real... I want to put on a VR headset and play AO right now! This book has me wishing somebody would actually create that game! It's also fascinating how the author swaps the stereotypical fantasy hero and anti-hero. I've always seen myself as the white knight but this story has me wishing to be that necromancer leading my own army of zombies into battle, right now! Followed on from the first book brilliantly, and had a great ending which I thought was a perfect way to force me to grab the third book and start reading immediately. Great book again, very gripping and great pace, couldn't put it down highly recommend !!! I want book three now!!! Really enjoying this series. 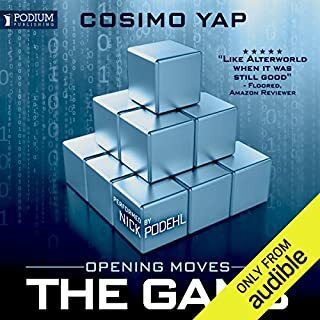 Probably my favourite audio book(s) since reading Ready Player One. Keep up the good work!